The lamps Frisbi de Flos is a collection composed of standing lamp and at the same time suspension. 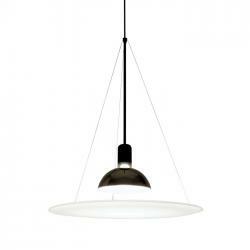 The concept of Frisbi encompasses the idea of functionality in the sense of performing the hanging lamp function. The designer of Frisbi de Flos is Achille Castiglioni. It is an icon for the manufacturer Flos since with the passage of time it has been evolving and creating versions adapted to the needs and technologies of our days. Its design is exclusive and elegant since its interior is composed of a disk with a small hole in the center through which it lets in light. This disc is suspended by three thin wires that leave between seeing the entire luminaire itself, which adds even more beauty. 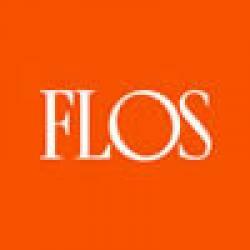 Flosbi Flos is a suspension lamp of direct / indirect and diffuse light. Diffuser in opaline polymethyl methacrylate (PMMA) stamped by injection, attached to the body of the apparatus by three fine cables in harmonic steel.